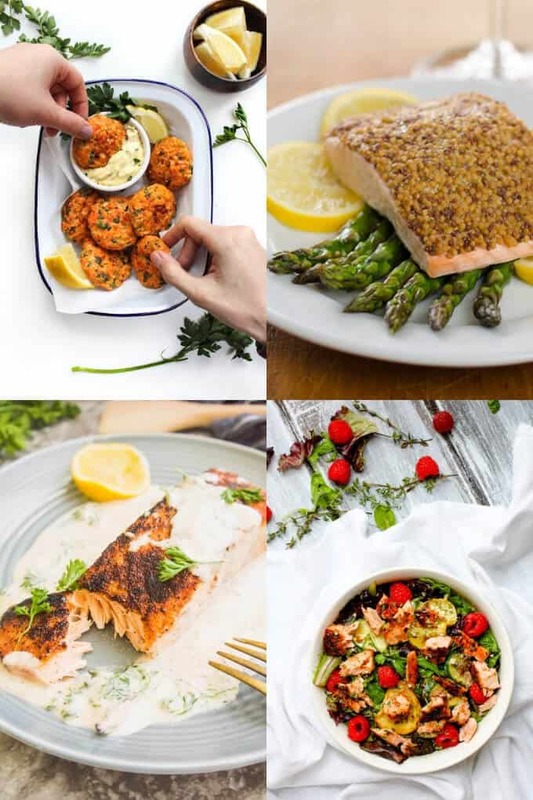 Whether you’re in the mood for a salmon that’s oven-baked, pan-fried, pan-seared, or if you’d rather serve up some coastal salmon cakes or burgers, here are easy salmon recipes for everyone at your table. 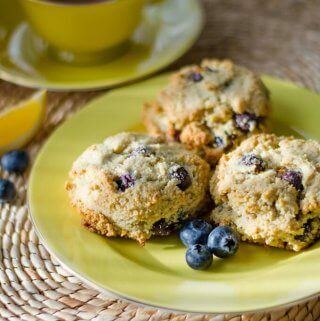 All of these recipes are paleo and gluten-free, and many are Whole30-friendly, keto and dairy-free as well. Perfect for quick and easy dinners! Salmon is one of my favorite options for quick weeknight dinners that need to be on the table in a flash. It’s quick to cook and there are so many different ways to prepare it! I really love the simplicity of one-sheet oven-baked salmon dinners. This is an easy meal planning tip for busy weeknights. With high-quality fresh paleo-friendly ingredients and just a couple of minutes of meal prep, you can have a beautiful, delicious, and nutritious meal with very little effort. Of course, I also love salmon cakes served with a great dipping sauce. And salmon with avocado? That’s practically a match made in heaven! This post contains affiliate links for your convenience. Please read my disclosure for more info. 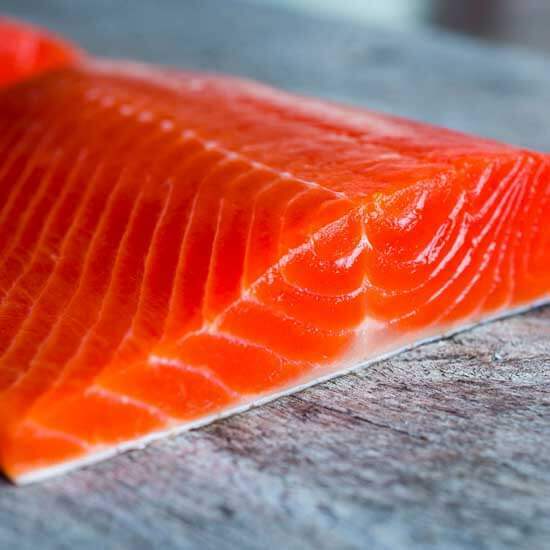 While the sustainability of salmon fishing is an ongoing concern, selecting the right ingredients for your family can be a lot easier if you’re armed with a few purchasing tips and tricks. As you may have guessed, wild (or free range) fish are typically better than their farmed counterparts for a variety of reasons. That said, many of the labels used can be misleading — especially ‘fresh’. This label means little more than the fish hasn’t been frozen. It carries no indicators for the quality or methods used to obtain the fish. You can learn more about sustainable salmon and sustainable fishing practices at msc.org. Do you know what you’re looking for when you visit your fishmonger? Shopping for the perfect cut of salmon isn’t an easy task because there are many factors to take into consideration. Color: This is not necessarily an indicator of a good fish because their color can range from pink to red to orange. This all depends on the variety of salmon you’re looking at. Your best bet is to rely on the smell of the fish and condition of skin over the color alone. Skin: Fresh salmon should have smooth, moist skin. Stay clear of portions that show any bruising or cuts in the flesh. Smell: Trust your nose. Your salmon should not smell fishy. Whole Salmon: If you’re purchasing a whole fish, take a look at the eyes. They should be bright and clear. Stay away from any that seem cloudy or sunken. Labels: As mentioned above, labels can be misleading. ‘Fresh’ isn’t necessarily better than ‘flash-frozen’ and ‘organic’ and ‘sustainable’ are not the same. Carefully consider the labels associated with your product. The best rule of thumb? If you’re not sure, ask! A good fishmonger should be happy to talk to you about your choices and advise you in your purchase. Or you can just do what I do — get high-quality wild Alaskan salmon from a reputable source like ButcherBox and keep it in the freezer for when you need a quick and easy dinner. While there are a variety of ways that you can cook salmon, there are a few key indicators that can help you get the best results from your salmon recipes. Gently poke the center of your fillet with your finger. Easy flaking is a sign that your salmon is ready to serve. Insert a cake tester or thin piece of metal into the salmon and then touch it to your lower lip. If it feels hot on your lip, your salmon is done. If not, it probably needs a little more time. Another helpful tip for cooking great salmon recipes is to leave the skin on during cooking. This is because the skin acts as a natural shield between the delicately textured salmon and your hot cooking surface. Cooking with the skin on helps you prevent overcooking. The only exceptions to this skin-on rule are if you’re poaching or slow-roasting your salmon. The liquid used in these cooking methods never allows the skin to get crispy. If you leave the skin on during these methods you’ll end up with a less-than-desirable gummy texture. These healthy paleo dinners made with easy salmon recipes are the perfect answer to quick weeknight meals. Fishcakes, pan-seared salmon, salmon burgers, a salmon terrine and more. There’s an option for every taste! With just a couple of minutes of prep time and a world of flavor possibilities, oven-baking is one of the easiest and quickest ways to prepare your salmon. Perfect for busy weeknights! This quick and easy sheet pan salmon dinner is gluten-free, paleo, keto and Whole30-friendly and can be on the table in 15 minutes. Perfect for weeknight dinners in a flash! 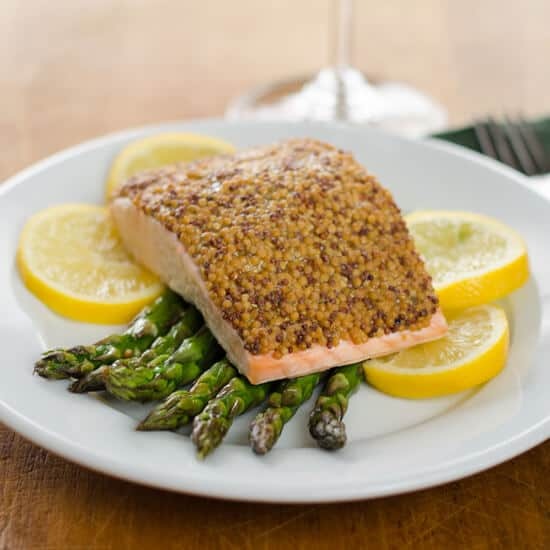 It’s as simple as prepping the mustard-baked salmon and placing in on your baking sheet alongside the asparagus. 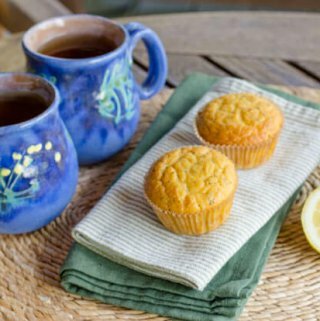 With only 5 ingredients, these flavors really shine with fresh ingredients! This easy baked fish recipe is perfectly versatile no matter whether you’re using salmon, tilapia, halibut or even trout. This oven-baked dish is paleo, gluten-free, keto and Whole30-friendly, so it’s a perfect choice no matter who you’re cooking for! Even better, it’s perfectly suited to using frozen fish fillets — easy and budget-friendly! This lovely Asian-glazed salmon looks like it belongs in a restaurant but it's so easy to make and is ready in only 25 minutes. It’s the perfect paleo and Whole30-friendly choice for weeknight dinners, but it’s also special enough to serve to guests. I like that the marinade can be made in a large batch and used throughout the week. So easy and efficient! Oven-baked foil packets have got to be one of the easiest and most foolproof ways to prepare perfectly cooked salmon. 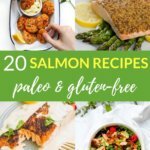 This lovely garlic herb salmon recipe is paleo, keto, and Whole30-friendly. 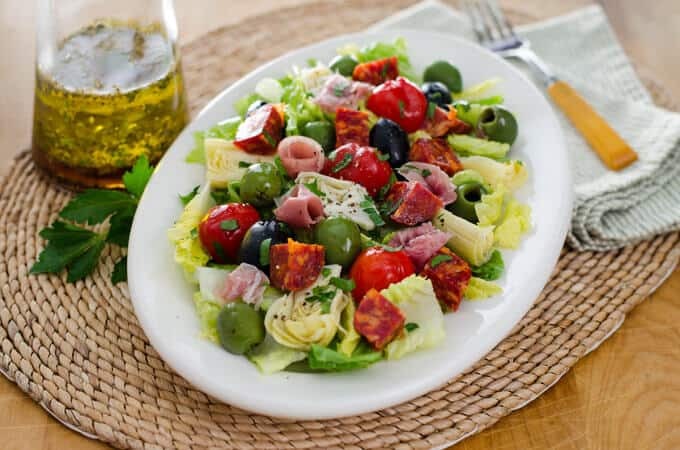 And it also includes a number of tips and variations for making this recipe suit your preferences as well as the ingredients you have on hand. This beautiful baked salmon with avocado salsa ticks so many weeknight dinner boxes. 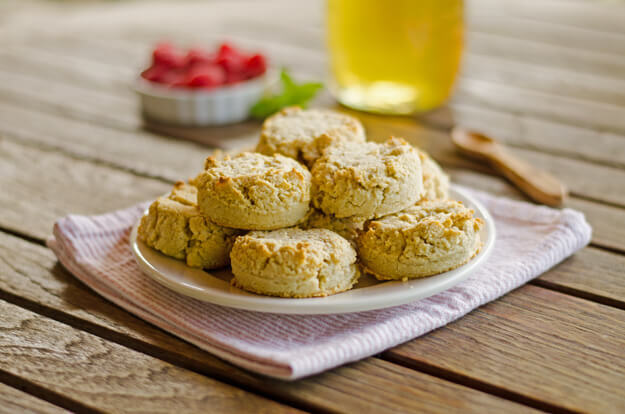 It’s paleo, Whole30, gluten-free and even kid-friendly! 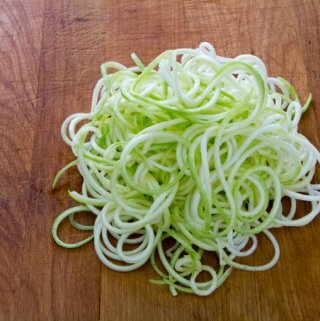 With just 12 ingredients and 30 minutes of time, you can have a healthy and delicious meal that everyone at the table will enjoy. Its nutritional powerhouse of ingredients makes it the perfect quick dinner. This easy pecan-crusted paleo salmon recipe is quick and versatile. It’s perfect for a quick oven-baked dinner and even includes some handy recipe adaption ideas. And it's fancy enough for company and ready in under 40 minutes. Warning: These delicious paleo salmon recipes may lead to daydreaming about the beach and cause you to begin planning your next coastal getaway. They’re so delicious and easy! Try these easy paleo salmon cakes as a healthy main or serve them as party appetizers. Either way, you’re sure to hit a home run with these curry-flavored, veggie and protein-packed fishcakes. This easy Whole30-friendly recipe is also perfect to meal prep in advance for fast meals and is even freezer-friendly! Here are some salmon cakes with a spin. If you haven’t had a chance to try coconut aminos yet, this is the perfect recipe to get you started with this ingredient. Coconut aminos stand in as a delicious paleo-friendly alternative for soy sauce. Best of all, these beautiful salmon fishcakes can be on the table and ready to enjoy in under one hour. 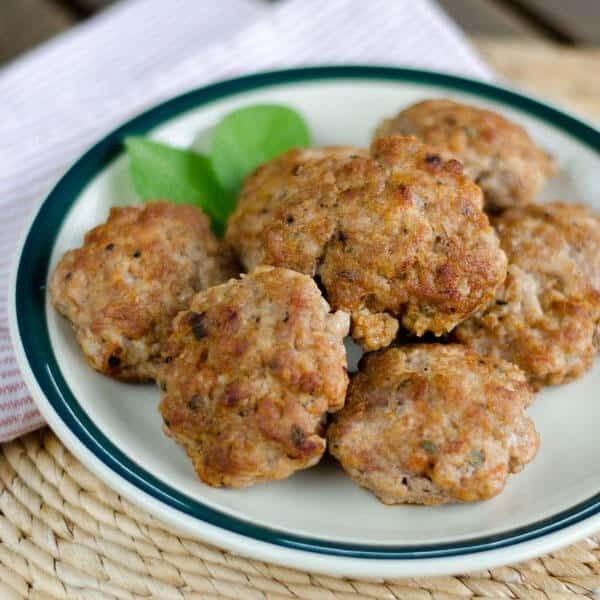 I really like the versatility of this salmon cake recipe — serve them as mini appetizers, or form larger patties if you’re hankering for a burger. And you can choose your salmon based on what’s readily available to you and fits within your budget because you can use either fresh or canned salmon. 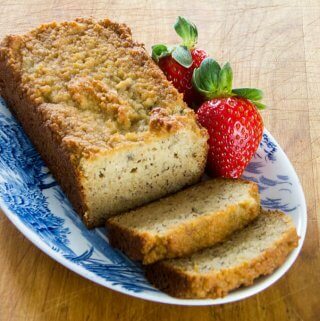 This recipe also includes tips for further low FODMAP adaptions. These salmon patties are a flavorful and healthy way to enjoy a paleo spin on traditional fish cakes. I like how versatile this recipe is. This is another recipe that can be made with fresh, wild caught salmon or canned salmon. This recipe also includes some handy purchasing tips for choosing the perfect budget-friendly salmon for your family. With only 5 minutes of hands-on prep time and total fridge-to-table timing coming in at just over 30 minutes, these salmon cakes are the perfect choice for quick dinners or as an easy party appetizer. The fresh flavors of this recipe would be perfectly paired with a fresh garden salad for a quick and healthy weeknight dinner! Everyone loves a good burger! These paleo salmon burgers are a quick and easy choice when you’re looking to switch it up from oven-baked and pan-cooked recipes. Perfect for your next grill out! These beautiful salmon burgers with dairy-free tzatziki and sweet potato buns are the grown-up version of your favorite fish burger. Best of all, they taste as amazing as they look. And they’re very easy to pull together. With only 15 minutes of hands-on prep time, this is a great choice for quick weeknight dinners. These salmon burgers are perfect if you’re looking for a versatile paleo and Whole30-friendly recipe. Try serving these in a lettuce wrap, as a topper to a salad, or alone. And you can’t go wrong when you serve them with a dollop of deliciously creamy Avocado Garlic Sauce. Best of all, these burgers are freezer-friendly. Perfect for meal prep! In less than 20 minutes this yummy paleo and Whole30 salmon burger and avocado coleslaw can be on the table. It’s a speedy, healthy meal that the whole family can enjoy. You’ll also find a handful of helpful tips for purchasing sustainable fresh and canned salmon. Pan-fried and pan-seared salmon is a great choice for quick and easy dinners — especially because so many recipes are one-pan dishes. Easy to cook AND clean! This paleo and Whole30-friendly pan-seared salmon is served with a lovely cream sauce that’s dairy free! Best of all, it comes together in less than 15 minutes. Perfect for quick and easy weeknight dinners when you don’t feel like cooking. This recipe also includes lots of little tweaks for a variety of delicious serving options. This easy one-pan salmon dish is perfect no matter whether you’re cooking a quick weeknight dinner or are looking to impress at your next dinner party. This recipe is so simple — only 5 ingredients and just 20 minutes from start to finish. Healthy cooking doesn’t need to take a long time and this paleo and Whole30-friendly recipe is proof! This is the ultimate guide to perfectly seared salmon. You’ll find great tips and tricks that even beginners will find easy to master! This super simple seared salmon is also low carb, keto, and Whole30-friendly. It’s a great choice for a quick and easy weeknight dinner! As you can see, there are so many easy salmon recipes to choose from. Why limit yourself to oven-baked, pan-cooked, or cakes and burgers? Here are a few more ideas that are both beautiful and nutritious! Did you ever think you’d find an easy recipe for paleo-friendly salmon terrine? I didn’t! But this quick and healthy dairy-free recipe knocks it out of the park. This would look very impressive on any brunch spread. 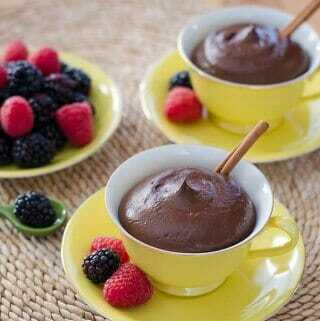 And this recipe is versatile! Use the salmon you have on hand, no matter if it’s canned or leftovers from last night. This beautiful salmon salad recipe has been carefully constructed to pack incredible flavor and serious nutritional value all in one bowl. 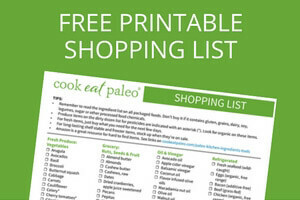 There’s so much to love about this paleo recipe that it’s hard to know where to begin. The pairing of healthy fats alongside super antioxidant-rich food is a perfect match. Great for either lunch or dinner! I love frittatas because they’re so quick and easy to whip together. While this smoked salmon frittata recipe would be an absolute show-stopper at Sunday brunch, it would also be great as a quick meal. And for the meal prep lovers — this recipe can be kept for up to 4 days for delicious and nutritious meals on the run. Looking for more healthy seafood recipes? Try these keto shrimp recipes for more quick and easy dinner ideas. I love your salmon recipes. Each member of the family can find at least 1-2 they like. I’m so glad you found some recipes you like, Roni!